The Alpha A5100 is Sony's entry-level mirrorless camera, but by coupling the powerful autofocus system from the higher-end A6000 with 6fps burst shooting, it could well be your best bet for capturing action on a budget. Kids or pets running around? Sports fanatic? The A5100 will track them as they cross the frame and deliver a higher percentage of focused shots than any camera at this price. The Sony Alpha A5100 is an entry-level mirrorless camera that’s compatible with Sony’s range of E-mount lenses. Announced in August 2014, it comes just eight months after its predecessor, the A5000, but unlike many swift camera updates, the A5100 sports a number of important and very worthwhile improvements. First the APS-C sensor, inherited from the higher-end A6000. This means the A5100 now enjoys 24 Megapixels to its predecessor’s 20, but more importantly means it also boasts the A6000’s 179 embedded phase-detect AF points which allow that model to continuously focus with a high degree of success. This is a huge upgrade over the A5000, and indeed almost any system camera, mirrorless or DSLR. Where most cameras costing even twice the price of the A5100 can struggle with continuous AF, especially mirrorless models, Sony’s embedded phase-detect array can track sports and action with ease. Like its predecessor, composition on the A5100 is with its screen only, which as before can flip back by 180 degrees to face the subject for easy self-portraits or filming pieces to camera. New to the A5100 though is a higher resolution screen, 920k dots vs 460k, and hallelujah, touch-sensitive capabilities. Yes, for the first time in ages for a Sony camera, you can tap to reposition the AF area. Also inherited from the RX100 III and A7s is the option to encode 1080 / 50p / 60p movies in XAVC S, supporting the higher bit rate of 50Mbit/s. Like its predecessor there’s also Wifi with NFC and the chance to download apps to expand the functionality. It’s undoubtedly an impressive spec for the money, but is it the best bet for someone wanting a step-up from a point-and-shoot or phone? To find out I compared the A5100 against several high-end compacts as well as the next model up in the range to help you make the right choice! The Alpha A5100 shares the same body design as its predecessor with only minor cosmetic differences to tell them apart: the shutter release and lens mount are now black rather than silver and the panel on the left side is now split, allowing easier access to the Multi / USB port. Apart from that they’re identical from the outside. 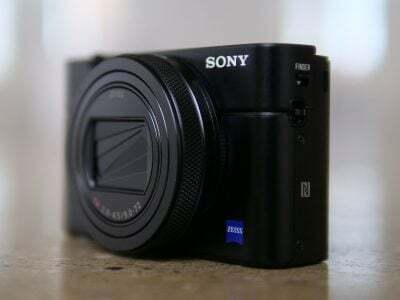 As before the body is tiny, about as small as Sony can make an interchangeable lens camera with an APS-C sensor and tilting screen. Measuring 110x63x35.7mm and weighing 283g with battery but without lens, it’s certainly very compact, and even once you mount the kit zoom (adding 30mm to the body thickness and bringing the overall weight to 400g) you’re left with a camera that’s very portable. I’ve pictured it below alongside the next model up in the range, the A6000, which measures 120x67x45.1mm and weighs much the same for the body alone. The A6000’s actual main body is roughly the same thickness as the A5100, but the grip is more substantial and taller too, leaving fewer of your fingers dangling. I think it’s also important to compare the A5100 to a fixed lens compact, as many potential owners may end up leaving the kit zoom mounted for most of the time. I’ve pictured it below alongside Sony’s own Cyber-shot RX100 III, although note I’ve cropped-in a little so the A5100 looks a little bigger than it does in my first comparison above. Measuring 102x58x41mm and weighing 290g with battery, the RX100 III is smaller and more pocketable than the A5100 when the Alpha is fitted with its kit zoom, and also features a built-in viewfinder. Sure the sensor’s smaller, but the lens is brighter which allows it to deploy lower ISOs under the same conditions, so it’s an interesting camera to compare with the A5100. I’ll be making numerous comparisons against the RX100 III and A6000 throughout the review to help you make the right choice. Like the A5000 before it, the A5100 offers a modest but usable grip – less than the A6000, but more than most compacts like the RX100 III. Along the top surface you’ll find a small popup flash, shutter release with zoom collar and power switch, and perched on a sloping surface, a dedicated record button for the movie mode. So like its predecessor it lacks a dedicated mode dial and hotshoe for mounting flashes and other accessories; note the A6000 and RX100 III both have a mode dial and the A6000 also has an accessory shoe. Round the back of the camera there’s a control wheel which can tilt in four directions with the default options being up for the display views, right for the ISO sensitivity, down for exposure compensation or picture controls, or left for the drive modes. I’m pleased to report Sony’s got the resistance just right for the wheel which means it’s easy to spin it without accidentally pushing down and entering a menu you didn’t want to. Finally, there’s four buttons on the rear: Menu, Play, Help / Recycle and a central unlabelled button in the middle of the wheel. By default the button in the middle of the wheel fires-up the shooting mode menu, saving you from selecting it from the main menu system, although to be fair it is the first item on the first page so it’s easy to find. With the mode menu on-screen you then turn the rear wheel to select the desired option. If preferred, the Custom Key settings menu let you change the function of the centre button, along with the left, right, down, and Help buttons from a list of 35 options. I reconfigured the Help button to enter the AF mode as it’s one I regularly access. The screen remains 3in in size and 16:9 in shape, and like its predecessor can be angled-up by 180 degrees to face the subject for self-portraits, although the mechanism doesn’t allow it to be angled down so if you want to comfortably compose over the heads of crowds you’ll need to hold the camera upside-down. In contrast, the A6000’s screen can angle down a little, but can only angle up by 90 degrees, missing out on the selfie-trick. Meanwhile the RX100 III offers the best of both worlds with a screen that can angle down and all the way up to face the subject. A quick note on screen shapes: the A5100, along with the A5000 and A6000, all employ 16:9 shaped screens, which means HD movies fill the panel, but shooting photos in the narrower native 3:2 aspect ratio will mean less of the screen is used. Interestingly Sony’s gone the other way with the RX100 III which uses a 4:3 shaped panel, which means 3:2 shaped stills are displayed with a black bar below, while 16:9 movies are letterboxed top and bottom. There’s pros and cons to each screen shape, depending on what you’re shooting, but one thing all the Sony’s have in common is a backlight that’s set a little dim as standard. Take any of them out in daylight – overcast or direct sunlight – and the image can become hard to see. Sony offers a monitor brightness control on all of them, and setting for Sunny Weather boosts the brightness to become much more visible, albeit at the cost of decreased battery life. The A6000 and RX100 III enjoy the benefit of having built-in electronic viewfinders which are much easier to view in bright conditions, while also providing extra stability with the camera held against your face. As an entry-level camera though, there’s no viewfinder built-into the A5100, nor any means to mount an accessory either, so you’re stuck with the screen alone. This is arguably the most important limitation on the A5100, so you should think carefully whether you’d like to use a viewfinder or not. Leaving it out allows the A5100 to be smaller, lighter and cheaper, but equally it means you’ll be composing with the screen alone. The A5100’s screen may share the same size, shape and articulation as the A5000, but the panel now sports double the resolution (920k dots vs 460k dots), bringing it in line with other modern cameras. Best of all the A5100 becomes the first Sony camera in ages to offer a touch-sensitive screen, although strangely it’s not used a great deal. You can move the AF area by touch and also fire the shutter too with a tap if desired. You can additionally pull focus between subjects when filming movies by touch, something that’s not offered on most models in the range. But strangely you can’t swipe through images in playback or pinch to zoom. Neither can you tap your way through the menus or even use the touch-interface to enter text which would have been very useful in the Wifi section. There’s also no touch-interface for accessing popular shooting settings. So while I’m pleased you can touch to reposition the focus area or pull focus during movies, I’m perplexed why Sony decided to curb all other touch operations. Speaking of the user interface I was also sad to see the A5100 doesn’t offer anything like the A6000 or RX100 III’s Function menu which presents a customizable selection of popular shooting settings for quick and easy access. Even without a touch screen, Quick menus like these are invaluable for operating a modern camera and without one, I found myself having to enter the menus of the A5100 a lot more than I wanted. Of course the A5100’s target audience may not want or need to change settings very often and indeed quick access to things that could potentially mess up their photos may be seen as a bad thing. In this case the A5100’s limited user interface probably makes sense, but if you have any desire to change settings frequently, you’ll find models like the A6000 much better suited to you. In terms of wired connectivity the A5100 is the same as the A5000 before it: a flap on the left side of the body (now split into two), houses Sony’s Multi / USB port and a Type D Micro HDMI port with an SD memory card slot sandwiched between them. Like its predecessor, you’ll first need to angle the screen up to open the flap to access the SD slot or HDMI port, although a new split in the flap now allows you to access the USB port without adjusting the screen. The A5100 also features built-in Wifi with NFC, more of which in my dedicated wireless section later. As you’d expect, there’s no means to connect an external microphone to the A5100, unless Sony figures out some way to do it over Wifi in the future. The Multi / USB port serves multiple duties: beyond getting images and movies out of the camera, it doubles-up as a port for the optional RM-VPR1 cabled remote control and a battery charging socket. Like its predecessor, the A5100 recharges its battery internally over a USB connection and Sony supplies an AC-USB adapter in the box, although you’ll almost certainly have others that will do the job. Some people don’t like to charge batteries inside their cameras as it effectively ties them up, but the flipside is that you don’t need to carry around a proprietary charger nor find an AC outlet to power it either. With charging inside the camera, you always have the charger with you, and by powering the process with USB you’ll have many options available which don’t involve being tied to a wall. For example you could recharge the camera using a cigarette lighter adapter in your car, or exploit the USB ports fitted into many vehicles including coaches or planes. If you have a laptop, you could recharge the camera using one of your USB ports, or you could simply use an external USB battery to topup or completely recharge absolutely anywhere. And of course when you are near mains power, you’ll almost certainly have an AC-USB adapter from another device like a phone or tablet that you could use with the camera. Note unlike a smartphone though you can’t shoot with the camera while it’s being charged; switching it on pauses the charging process. I use an Anker Astro Mini battery rated at 3000mAh to topup my phone when I’m out for long periods, and I love that I can also use it to topup my USB-powered cameras too. If I’m running low on either device, I’ll often connect the Anker while I walk between locations or catch public transport, and by the time I reach my destination they’re both significantly replenished without ever having to find a mains socket. As for the actual battery, the A5100 is powered by the same NP-FW50 Lithium Ion pack as the A5000 and A6000. Sony reckons it’s good for up to 400 shots, although if, like me, you regularly boost the screen brightness and exploit the Wifi, you’ll be looking at a great deal less. So I’d recommend taking a USB battery out with you. The Sony A5100 is equipped with an E-mount, which with the camera’s APS-C sized sensor, applies a 1.5x field reduction to all lenses. At the time of writing Sony offered 15 native E-mount lenses (nine zooms and six primes) with focal lengths between 10 and 210mm (15 and 315mm equivalent); note three of the 15 lenses are variations of the popular 18-200mm though. In addition you can mount any of the seven native FE lenses designed for the full-frame Alphas without an adapter, although again with the 1.5x crop factor. As a mirrorless camera, the A5100 has a short flange to sensor distance which allows you to squeeze in adapters to mount lenses from pretty much any other system, albeit with restrictions on AF and metering. The most capable adapting unsurprisingly comes when mounting Sony’s A-mount lenses via the optional LA-EA4, which offers autofocus via its own SLT phase-detect AF system. If you’re happy with manual focusing and manual exposures though, you can adapt a wealth of other formats including Canon FD, Nikon F, Pentax K, Olympus, Leica M and many more. Once again any lens you mount has its field reduced by 1.5 times. The Alpha A5100 is typically sold in a kit with the SELP1650 16-50mm f3.5-5.6 Power Zoom lens, the same model introduced with the NEX-6 and supplied with its predecessor. This is a retractable design which when powered-down collapses to just over 30mm thick. 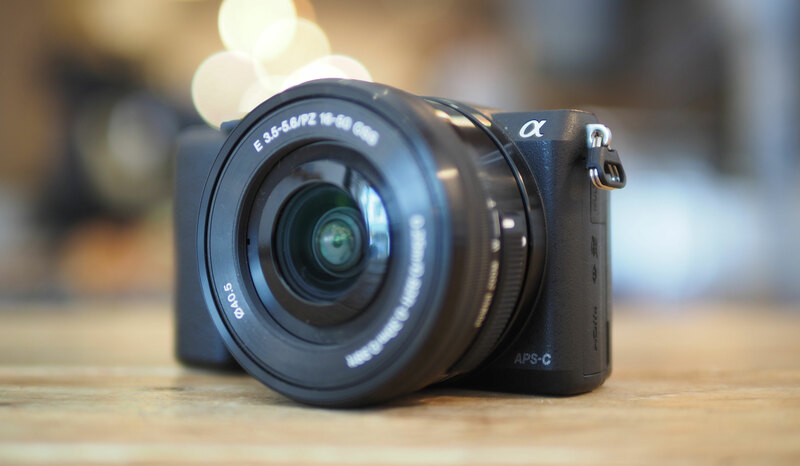 Combined with a light weight of just 116g, this allows the A5100 to enjoy a compact form factor that’s much more portable than when fitted with the earlier 18-55mm kit zoom. The 16-50mm also offers a more useful equivalent range of 24-75mm: the difference between the telephoto (75mm vs 83mm) end is negligible, but at the wide-end, 24mm captures a noticeably bigger field than 27mm. You can see an example of the coverage below. As a power zoom, the 16-50mm enjoys motorised control over its focal length using a slider on the side of the barrel or using the collar control around the shutter release like a compact. If the camera is set to AF, the single ring on the barrel can alternatively be used to adjust the zoom. If the camera is set to manual focus this ring switches its function to focusing. A motorized zoom allows smooth adjustments of focal length while filming movies, but I found the slider control could often be nudged by mistake as I held the camera, resulting in unexpected jumps in focal length. The ring control was also very sensitive when configured for zooming, causing the lens to lurch back and forth without much finesse, and I also found there was a little too much play when manually focusing. Shrinking the lens down has also resulted in some optical compromises. At the wide end there’s significant distortion that’s corrected in-camera and by compatible RAW converters (including recent versions of Photoshop and Lightroom), but the image quality looked a little soft and lacking bite throughout the range. I also found I needed to stop the lens down to f8 to avoid any softness towards the edges at any focal length, which in turn often meant shooting with slower shutter speeds or higher ISOs than I wanted. Indeed it’s very important to take the kit zoom’s aperture into consideration when weighing-up the A5100 against, say, a compact camera with a smaller sensor. When zoomed to wide, the 16-50mm offers a maximum aperture of f3.5, and when zoomed to telephoto, it slows to f5.6. In comparison, a compact like Sony’s own RX100 III offers a maximum aperture of f1.8 when wide and f2.8 at telephoto, an exposure difference of two stops across the range. This allows the RX100 III to use an ISO sensitivity two stops slower than the A5100 under the same conditions, for example 200 ISO when the A5100 has to use 800 ISO. This effectively counteracts any benefit of the A5100’s larger sensor, unless you fit a lens with a brighter aperture. It’s important to mention this as I think many of the A5100’s target audience may rarely swap lenses, in which case they could achieve similar quality under the same conditions with the smaller RX100 III. It’s also worth mentioning closest focusing distances, which for the 16-50mm is between 25 and 30cm. Compare that to the RX100 III again which offers a closest focusing distance of 5 and 30cm. So when both are zoomed to telephoto, they offer similar reproductions, but when zoomed wide, the RX100 III, like most compacts, can focus much much closer for more dramatic macro shots. To illustrate the difference, I took photos at the closest focusing distances for the A5100 with 16-50mm and the RX100 III when both were set to 24mm and 75 / 70mm equivalent. First the cameras at their closest focusing distances when set to 24mm equivalent. As you can clearly see above, the ability to focus much closer has given the RX100 III a key advantage in not just reproducing the subject larger, but also in blurring the background elements. Next let’s see how they compare when zoomed-in. This time it’s a much closer contest with both cameras sharing a similar closest focusing distance when zoomed-in. Here you can clearly see how the depth of field is defined not just by the distance to subject, but also the aperture and actual focal length. The RX100 III’s smaller sensor means to deliver a 70mm equivalent field of view only requires a 25.7mm actual focal length. Meanwhile the bigger sensor on the A5100 requires a 50mm actual focal length to deliver an equivalent of 75mm. Had they shared the same aperture, then the A5100 would have delivered more blurring, but the fact their maximum apertures are two stops apart means they’re essentially delivering the same result. I’d say the quality of the blurred elements look nicer from the A5100’s kit zoom than the RX100 III’s, but the bottom line is when both are at the same subject distance, using the maximum zooms and maximum apertures, they’ll deliver effectively the same amount of blurring. This equally applies to portriats as it does to macro shots here. So don’t choose one over the other thinking it will deliver more blurring at the telephoto end. The A5100 has greater potentiual to do it, but you’ll meed to couple its bigger sensor with a lens sporting a brighter focal ratio – something like the 50mm f1.8. In short, while the 16-50mm kit zoom offers a portable configuration for the A5100, it’s not the World’s best lens by a long margin. If you want to avoid its distortion, softness and enjoy the potential of the A5100’s 24 Megapixel sensor, you’ll need to fit a higher quality option sooner rather than later, and in most cases that means carrying a bigger, heavier lens. You can see how the 16-50mm performs in my results and sample images pages, and in the former, it’s clear how it’s holding the camera back. Ultimately if you don’t think you’ll ever swap lenses, I’d recommend going for something like the RX100 III instead. Pressing the DISP button cycles through a selection of up to four different information views, each super-imposed onto the live image: you can have three different views of the shooting information from detailed to none at all, along with an extra page showing a live histogram although sadly there’s still no leveling gauge. The DISP option in the menus lets you choose which of the four views you’d like enabled. The A5100 also offers a selection of super-imposed guidelines, along with zebra patterns in a range of 70 to 100+ to help identify regions of specific exposure. In terms of the menus, the A5100 inherits the tabbed system of the A6000, although with a handful of minor differences to reflect the new features mentioned throughout the review. Press the menu button and you’ll first be presented with six tiles to drill down to the desired section, after which you can tab through the different pages; if you like you can disable the initial tiled view. Each page has no more than six options on it and there’s no scrolling vertically. That said there’s still room for improvement: while browsing pages you’ll notice various options are greyed-out because you have another option enabled somewhere else, for example Picture Effects are greyed-out when shooting in RAW or RAW+JPEG quality, and panorama options are greyed-out unless the mode is actually set to Panorama. But surely this is daft. I often change settings in advance of using them, such as various quality options, and I dislike not being able to do this unless I am in the correct mode first. In playback there’s three views: a clean full image, one superimposed with basic shooting information, and a third which shrinks the image to a thumbnail to accommodate additional RGB and Brightness histograms. Annoyingly portrait images don’t rotate to fill the screen during playback when the camera’s turned on its side though. On earlier Sony cameras you had to choose whether to view stills or movies during playback, which could get pretty annoying if you wanted to jump from one to another; instead you’d have to select, say, stills, or video from a tab in playback. While this option is still available on the A5100, Sony thankfully now lets you view photos and videos together by default, like everyone else. Phew. The Alpha A5100 offers a wide variety of shooting modes, but no mode dial with which to select them. In the absence of a mode dial you’ll need to either press the menu button and choose the first option, or in the default configuration, press the button in the middle of the wheel on the back. Both will fire-up an on-screen virtual mode dial which you spin using the wheel to choose from the usual PASM modes, along with two Auto options, SCN, Sweep Panorama and Movie; indeed exactly the same choices as the A6000, but without Memory Recall. You can start filming video in any relevant mode by simply pressing the red record button, but by first putting the camera into the Movie mode, it’ll preview the appropriate composition frame and offer access to the dedicated movie options. The A5100 offers shutter speeds between 1/4000 and 30 seconds with a Bulb option and a fastest flash sync of 1/160. At the long exposure end, 30 seconds is also normal, although I should note Panasonic and Olympus offer 60 second options on most of their models, while Olympus additionally offers a Live Time capability which keeps the shutter open for up to 30 minutes with a single press and even lets you peek at the exposure as it builds and stop it if necessary. If you want exposures longer than 30 seconds on the A5100 and don’t want to keep the shutter pressed-down by hand, you’ll need to buy the optional RM-VPR1 wired remote. Here’s an example taken at the maximum 30 seconds; note this was taken with long exposure noise reduction enabled (the default setting), which takes a dark frame afterwards lasting the same time as the exposure. Auto Exposure Bracketing is available on the A5100 for three frames at 0.3, 0.5, 0.7, 1, 2 or 3EV increments, or for five frames in 0.3, 0.5 or 0.7 EV increments. You can set the drive mode to Single or Continuous for any of these bursts, although for the latter you will need to keep the shutter release held; it’s a shame the entire sequence can’t be captured with a single press or self-timer. White Balance and DRO bracketing is also available. The A5100’s picture effects are greyed-out if you’re shooting RAW or RAW+JPEG, which is daft as it’d be nice to only have the effect applied to a JPEG and keep a RAW as backup. Olympus does this much more sensibly with its ART filters, which are only applied to JPEG files, leaving the RAW file (if enabled) as a backup, and even lets you grab all (or a selected bunch) of the ART filters in one go with ART filter bracketing. Anyway, back to the A5100. With RAW disabled, you can choose from Toy Camera (with five different filters), Pop Colour, Posterisation (in Colour or Black and White), Retro, Soft High Key, Partial Colour (with the choice of red, green, blue and yellow), High Contrast Mono, Soft focus (with the choice of Low, Mid or High), HDR Painting (with the choice of Low, Mid or High, or as I like to call them, awful, horrendous or appalling), Rich Tone Mono, Miniature (with the stripe of focus variable between Auto, Top, Middle Horizontal, Bottom, Right, Middle Vertical or Left), Watercolour, or Illustration (with the choice of Low, Mid or High). Here’s how a bunch of them look given the same real-life subject. The D-R menu is where you’ll find the Dynamic Range Optimiser (DRO) and in-camera HDR options, the former available in Auto or set Levels of one to five, and the latter available as Auto or in increments of one to six EV. The HDR mode actually takes three images at the desired interval and combines them in-camera into a single JPEG file, and you can trigger it with a single shutter press or a self-timer. If you have RAW or RAW+JPEG selected, the HDR options are greyed-out. The Sweep Panorama mode enjoys its own dedicated position on the mode dial, and selecting it unlocks two options on the first menu page (although why Sony doesn’t let you set things in advance while you’re in other modes remains beyond me). Like previous Sony cameras you can choose between Standard and Wide for the size, and Right, Left, Up or Down for the direction. After that it’s just a case of holding the shutter release button down as you pan the camera in the selected direction, sometimes being told to do it again in case you were too slow or fast. Note unlike Sony’s fixed lens cameras, you can adjust the optical zoom on your lens before shooting a panorama, but be warned the camera becomes fussier about your technique as you zoom-into longer focal lengths. Here’s two examples with the 16-50mm kit zoom at 16mm, first a horizontal pan and secondly a vertical pan. Like other Sony cameras, the Sweep Panorama works fairly well and gives the A5100 a fun advantage over many rival system cameras. You often need to refine your technique and I’d recommend taking a couple at each attempt to make sure but it remains a fun and effective way of grabbing panoramic views. Finally there’s the two Auto modes, Intelligent Auto which employs scene detection, and Superior Auto which additionally exploits the composite presets to reduce blur or noise where necessary or desirable. I understand Sony’s decision to only offer the composite modes on one of the Auto options as the camera suddenly firing multiple exposures may alarm those who aren’t expecting it! The A5100 also offers Sony’s Auto Object Framing feature, which makes a duplicate image that’s cropped and effectively recomposed. This only works under certain conditions and modes though, and you also have to enable the feature. In practice I found it generally kicked-in when shooting people in the Auto modes. In this situation the camera would recognize people’s faces and switch into a portrait scene mode. Knowing where the face or faces were in the scene, it would then create a duplicate image, cropped to offer an alternative composition, then scaled back up to 24 Megapixels. If one person were in a wide view, the A5100 normally cropped-in for a head-and-shoulders view in the portrait orientation. If there were two or more faces, again in a wider view, it would normally maintain the landscape shape, but again crop-in for a closer look. Whatever the crop, the final image would be scaled / interpolated up to 24 Megapixels. When playing back images I was often surprised to find these tighter views when I’d shot wide portraits in the Auto modes, but invariably I found the recompositions were actually quite pleasing. That said, they had of course cropped-out any of the background, eliminating the context of many travel photos, and by making a crop they were also lower resolution than the original, despite the scaling-up at the end. But remember they’re not replacement images, they’re recorded in addition to the originals. Experienced photographers may still feel uncomfortable with the idea regardless, but I think it works well for those who perhaps don’t get close enough to their subjects in portraits and small group shots. The feature gives you a smartish scaled-up crop along with the original for good measure. Just before wrapping-up this section, a quick note on the selfie-mode on the camera. If you flip the screen out to face the subject it automatically switches itself into a self-timer mode with face detection enabled. You’ll see any human faces in the picture framed by the usual squares, after which you simply need to tap the main person (on the screen!) for the camera to trigger a self-timer release; alternatively if there’s just one of you or the camera has successfully identified the main subject, you can just press the shutter release. While I think it’s correct to assume most people will be taking selfies with the screen in this configuration, it’s possible to disable the automatic self-timer if desired. The screen also works fine flipped foward to face the subject when recording video, which makes it great for video bloggers filming pieces to camera; if you’re in the movie mode, the auto self-timer is over-ridden. The Sony A5100 is equipped with the same hybrid AF system as the A6000 which employs both contrast-based and phase-detect autofocus systems, the latter embedded into the imaging sensor. I’ll discuss the AF for photos here and for video in the movie section lower on the page. Like the A6000, the A5100’s contrast-based system splits most of the frame into 25 areas using a five-by-five array, while the embedded phase-detect system spreads 179 AF points across around 92% of the frame. This means the A5100, like the A6000 can exploit phase-detection almost up to the very edges of the frame. This should mean effective tracking of a subject almost wherever it is on the frame. The A5100 offers AF-S (Single), AF-C (Continuous), AF-A (automatically choosing depending on the situation), DMF (Direct Manual Focus) and MF (Manual Focus) modes. In terms of AF area selection you can choose between Wide (where the camera chooses any of the 25 AF areas on-screen), Zone (where the camera chooses from a reduced group of nine AF areas, but you get to choose where they are on the frame), Center, Flexible Spot (where you can manually position a single AF area almost anywhere on the frame in much finer steps than the 25 area grid, and where you can also adjust the area size between Large, Medium and Small), and new to the A5100 over the A6000, ‘Lock on AF’ that works with any of the earlier options. Lock On AF is a great new addition to the A5100’s focusing arsenal, tracking any subject that starts within the selected focusing area. Once locked-onto the subject, the A5100 will follow it around the frame, which when combined with the Continuous AF system, allows you to track pretty much any object. Think of it like the face detection tracking on the earlier A6000 but for non-human subjects. I found it worked particularly well with the Wide and Zone Area options, and it was fun to see a bunch of tiny phase detect AF squares surround and follow the subject like a swarm of bees. Manually repositioning the AF area on the earlier A6000 involved far too many button presses for my liking, but thankfully the touch-screen interface on the A5100 has greatly simplified the process. You can simply tap anywhere on the screen to ‘drop’ a single AF area that over-rides the current AF Area mode; this is particularly useful as it effectively switches the camera from, say Wide Area to Flexible Spot with a single tap without entering any menus. Once you’ve tapped the screen, a touch-button appears which lets you switch back to the previous AF Area mode. One potential area for confusion though is when Lock On AF is enabled, as the A5100 will deploy object tracking with variable (and moving) frames. While technically interesting, you may simply want to place an AF area with a tap and have it stay there. To do that just disable Lock On AF from the menus and tap away. So how does it all come together in practice? First of all, the speed in AF-S mode. I tested the A5100 with the 16-50mm kit zoom and FE 70-200mm f4G OSS and found it could certainly focus very quickly for single AF acquisitions. It’s hard to know what combination of technology it’s using when set to AF-S, but there’s minimal to no hunting, and in good conditions the lock is almost instant. The Pre-AF option, enabled by default in the menus, also means the camera has generally already focused on the subject if you dwell on it for more than a second or so. Tested side-by-side in AF-S mode against rivals, it’s certainly quicker than the more expensive Fujifilm XT1, suggesting Sony may be right about its claim of the fastest AF for a mirrorless camera with an APS-C sensor. But it’s certainly not the fastest mirrorless camera of any format. I tested the A5100 alongside the most recent Micro Four Thirds models from Panasonic and Olympus, and both were quicker than the Sony. I should also add as the light levels became lower the A5100 (like the XT1 and A6000) slowed down and in dim conditions often struggled to lock-on, whereas the latest Olympus and Panasonic models continued to autofocus successfully even in very low light. For comparison, Sony quotes the A5100 AF works down to 0 EV whereas the latest Panasonics will still operate at -4 EV (both at 100 ISO with f2.8 lenses). I certainly found a number of situations in very low light at night when I had to manually focus with the A5100 and A6000, when the Panasonics would autofocus without complaint. To be fair I’d still rank the single AF performance in good light with the A5100 as very good – indeed arguably better than other APS-C mirrorless cameras I’ve tested – it’s just not quite as fast as the best Olympus and Panasonic models, nor as successful as they are in low light. Switch the A5100 to AF-C continuous autofocus though and Sony’s hybrid system really shines. Like the A6000 before it, the A5100 will confidently track moving subjects across almost the entire frame, even when equipped with lenses like the FE 70-200mm f4G OSS. To put the A5100’s AF system to the test I photographed a number of moving subjects from kids on scooters to adults on bikes and dogs running around. Below is a sequence of 16 frames taken with the FE 70-200mm at 200mm f4, and the A5100 set to Continuous AF and Continuous High / 6fps drive mode. Here’s one frame, followed by the sequence. Of the 16 frames, I’d say seven are perfectly in focus, with five more being very close, leaving the remaining four being slightly out when viewed at 100%. This performance was typical for the camera in my tests. So I was achieving about a 50% success rate for perfection and about 75% if I didn’t mind it being a little-out. At 6fps this corresponds to 3 great shots per second, one that’s okay and two which are a bit below average. I’d say that’s still a good result, especially as most people won’t be using the images at their full 24 Megapixel potential. The images are so large that you may rarely use more than 50% of the resolution, which in turn increases your effective hit rate. The only camera which out-guns the A5100 without spending considerably more on a semi-pro DSLR is Sony’s own A6000. The AF system is the same, but the A6000 can fire-off almost twice as many frames per second: 11 versus six. With a similar hit to miss ratio, this means the A6000 will typically deliver twice as many sharp images per second, giving you a stronger chance of capturing the decisive moment. Certainly if you’re really into action or have sporty friends and family, then I’d go for the A6000 over the A5100. But don’t let that detract from the A5100 which is a fantastic performer and will allow you to capture moments that literally elude other cameras in the same price bracket, especially rival mirrorless cameras and compacts. It’s also worth noting that while a good DSLR will match the tracking capabilities, it’ll onyl do so if the subject is within a golden diamond shape which houses the AF sensor, roughly in the middle of the frame. if the action falls outside this area, the camera won’t track it, whereas the A5100 and A6000 will track subjects right up to the edges of the frame, and also recognise faces and track them too if preferred. Plus, since it’s natively live view, you can also exploit an articulated screen to compose at unusual angles – during a stage of the Tour de France I composed with the A6000 held out, but I also used it during the time trial to compose over the heads of crowds, all while still shooting with uncompromised AF and burst performance. I’ve detailed my experiences during the Tour in a seperate article: shooting sports with mirrorless. Moving onto Manual Focus, the A5100 offers a selection of aids which help you nail the shot. First of all, there’s an optional magnified view at 5.9x (not quite 1:1) which appears (when enabled) as soon as you turn the focusing ring on the lens (when shooting stills, not video). Secondly there’s focus peaking which surrounds subjects of high contrast with a coloured fringe, available at three sensitivity levels and in three colours. Strangely unlike the A6000 though, I couldn’t get them to work together for a belt-and-braces approach. There’s also an on-screen distance scale although it’s pretty basic compared with the one on the Fujifilm XT1 and unlike that model the scale doesn’t adapt to reflect the depth of field at different apertures. But with magnified assistance and focus peaking you’ll still find manual focusing with the A5100, whether with a native or legacy lens, very easy. The Alpha A5100 can record 1080p movies with full exposure control and supports continuous autofocus using the hybrid AF system. Audio is recorded using the built-in stereo microphones, although there’s no means to connect an external microphone. At first the movie capabilities seem similar to the A6000 before it, but the A5100 adds a handful of new and valuable features. First is the ability to encode in XAVC S with higher bit rates. Second is being able to use the touch-screen to pull-focus by tapping, or angle it back to face the subject for filming pieces to camera. And third is the option to display new movie-releated guides, such as rectangles representing different aspect ratios like the cinematic 2.35:1. These will all make the A5100 more tempting to movie makers than the A6000, apart from the absence of an electronic viewfinder. Starting with the encoding, the A5100 gives you the choice of three formats: you have the MP4 and AVCHD of the A6000, but now on the A5100, there’s the option of XAVC S too with a higher bit rate. Note if you want to film in XAVC S mode you’ll need to use an SDXC card with 64GB or more. With the A5100 set to XAVC S encoding you have the choice of 1080p in 25 / 30p or 50 / 60p depending on region, all at a high rate of 50Mbit/s. With the A5100 set to AVCHD encoding, you can choose 1080 at 50p or 60p (depending on region) at 28 Mbit/s, 1080 50i or 60i (depending on region) at 24 or 17 Mbit/s, or 1080 25p / 24p (depending on region), again at 24 or 17 Mbit/s. Switch the A5100 to MP4 encoding and you can choose between 1440×1080 at 12 Mbit/s or VGA at 3 Mbit/s both at 30fps regardless of region. You have full control over the aperture, shutter and ISO before and during filming, although since none of the dials are completely silent, you will hear clicking in your footage as you make adjustments. You can also adjust the optical zoom while filming, although you may want to set the Zoom Setting to Optical Zoom only as it’s easy for the camera to drift into its digital zoom as you adjust it. You can also apply some but not all of the Picture Effects. Toy Camera, Pop Colour, Posterisation, Retro, High Key, Partial Colour and High Contrast Mono are all available for movies, but the more processor-intensive Soft Focus, HDR Painting, Rich Tone Mono, Watercolour, Illustration and Miniature are not allowed. I’m not bothered about any of these apart from one: Miniature. Yep, for all their gadgetry and frills, Sony does not let you film a movie with the miniature tilt-shift effect on the A5100. 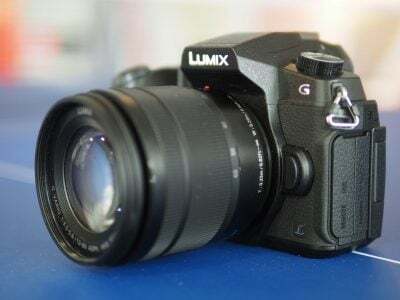 There’s also no slow motion options, but then that’s par for the course for a camera at this price bracket – although fans of slow motion will note the RX100 III offers a 720p option at up to 120fps. Moving on, the good news is the A5100 will exploit its hybrid AF system to deliver very effective continuous AF while filming, just like the A6000 before it. The broad and dense array of on-chip phase detect AF sensors already makes the A5100 and A6000 unique against rivals, but Sony takes the continuous AF sophistication further with the option to adjust the Movie AF Drive Speed and AF Tracking Duration on both models. The AF Drive Speed, as its name suggests, sets the speed with which the camera refocuses while filming, and you have the choice of Slow, Normal or Fast. The AF Tracking Duration sets the response before the camera re-evaluates the scene for a potential refocus, and you have the choice of Normal or Fast. With three AF Drive Speeds and two AF Tracking Durations, there are potentially six combinations to choose from, so to illustrate their differences I filmed six clips showing how the camera reacts when pointed back and forth between two objects at different distances. I then filmed six more clips showing how the camera reacts when continuously moved towards and away from an object. Since the A5100 is identical to the A6000 in these respects, I’ve used the same clips for that section, although filmed all-new ones for my main samples below. You can see all the clips below, but just briefly here the Slow, Normal and Fast AF Drive Speeds resulted in refocusing (between near and far objects) that typically took just over a second, just under a second and almost instantly, respectively. Meanwhile the AF Tracking Duration typically required a slight pause to refocus when set to Normal, or no pause at all when set to Fast. As such when tracking a subject in constant motion you’ll want the AF Drive Speed and Tracking Duration both set to Fast, but when panning and refocusing between two subjects, I preferred the more relaxed look of the Normal or Slow Drive Speeds and definitely the Normal Tracking Duration. If you use Fast Tracking Duration when panning, the camera will instantly refocus on everything it passes, which might be what you’re after, but can be distracting if you just want a slow refocus between two subjects. It’s great to have the option to adjust these settings (not to mention unique in the system camera market), but the problem with the A5100’s movie AF is that it’s continuous or nothing, and by continuous I really mean working all the time – it literally never rests. I often yearned for a slower Tracking Duration option that gave a little more time before a refocus was initiated. Instead I’d often have to pan between subjects a bit faster than I’d have liked to avoid the camera refocusing too soon. I also found once the camera had settled on a target it couldn’t rest for long and often hunted a tiny amount back and forth. To be fair this hunting was very minor and essentially invisible when viewed on the camera’s screen, but if you watch the clips on a larger TV or even computer screen, very slight focus breathing is often visible when the camera dwelled on a static subject. I am however delighted to report the A5100 offers a workaround that wasn’t available on the earlier A6000. Its touch-screen not only lets you tap to pull-focus, but also effectively halts the continuous AF until you tap again. I found I could tap to refocus, then move the camera or subject as desired before tapping again to activate the focus once more – and if you want to revert to the full-time continuous AF, there’s another button on-screen you can tap to end the touch-focusing. This manual override makes the A5100 more useful for movies than the A6000, but Sony could have gone even further with the touch-screen by offering silent controls over exposure adjustment. This is something you’ll find on Panasonic’s system cameras, so it’s disppointing not to find them here. But again I’ll try and not sound churlish about it. As I mentioned earlier, I’m just pleased to see a touch-screen on a Sony Alpha. Another way to take control over the A5100’s movie focusing, is to switch to Manual Focus, the only other focusing option available. There’s no magnified focusing assistance during or even before filming, but there is the option to enable focus peaking which remains active while filming. You can choose Low, Mid or High Peaking levels, and from red, yellow or white for the fringe colour. Peaking obviously helps a great deal when manually focusing for movies, but I’d have preferred to also have a magnified view to be really sure. Now it’s time to see how the camera performs in practice. All of the movies were filmed at the 1080 / 50p / XAVC S mode unless otherwise stated. In my first clip I filmed a tripod-based clip using the A5100 and the 16-50mm kit zoom, initially at 16mm, before then zooming-into 50mm and zooming-out again. The motorized zoom ensures the zooming process is nice and smooth, but you’ll want to have your finger over the control ready before filming. If you want to avoid the pause at 50mm followed by the digital zoom, I’d also recommend changing the Zoom setting in the menus to Optical Zoom only. The default setting has the digital zoom enabled and it’s almost impossible to stop at exactly the right point at the end of the optical range. In my second clip I tested the low light performance of the A5100 with a handheld pan around the dim interior of Brighton’s GAK shop. Here the sensitivity was 800 ISO. First off the lens has done a good job of stabilizing the footage as I walk around the shop, while the camera’s AF system ensures everything is kept sharp – I was particularly impressed by the way the AF system smoothly adjusted between the guitars during the clip. Meanwhile there’s little to no noise to speak of, just nice clean footage with lots of detail. I would however mention that very slight focus breathing when you pause for more than a couple of seconds on a subject. Note in this clip the AF Drive Speed and AF Track Duration were both set to the default Normal. In my third clip I tested the continuous AF capabilities of the A5100 by panning between a close subject and the distant background. I had the lens set to 50mm and its maximum aperture of f5.6 in Aperture Priority mode, and the sensitivity set to 1600 ISO; the AF area was manually set to a single area in the middle. For this clip I had AF Track Duration set to High, allowing the camera to react very quickly to changes in subject distance. Also note how there’s little if any hunting as the camera refocuses on its target, all thanks to the effective phase detect AF system embedded in the sensor. In my fourth clip I tested the continuous AF capabilities once again, but this time for a subject in constant motion. I did this by gradually getting closer to the subject then pulling away again, before then repeating the movement. I kept the lens at 50mm f5.6, but decreased the sensitivity to 800 ISO. As I move towards the subject, again with the AF area locked to the middle, the camera refocuses frequently – they’re visibly discrete steps, but it does a pretty good job at keeping the subject reasonably sharp. Play it again and look at the blurred lights in the background and you’ll notice they only grow as I move the camera closer to the subject, confirming the absence of any hunting back and forth. If you compare this to cameras which use contrast-based AF for movies, you’ll see background areas shift back and forth as the focus hunts and confirms. Note in this clip the AF Track Duration was set to Fast. The A5100 features a touch-screen and in an important upgrade over the A6000, lets you use it to pull-focus between subjects with a simple tap. 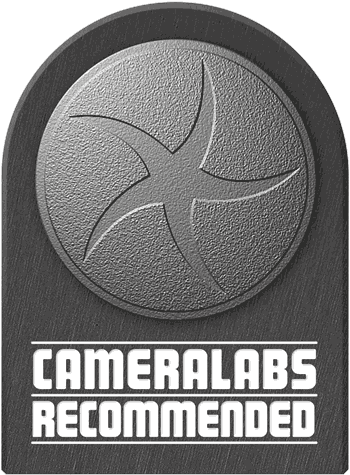 You can see me do this here by tapping between the Canon logo on the camera and the lights in the background. There’s minimal delay with AF Tracking Duration set to High. Being able to tap to pull-focus is useful by itself, but also over-rides the annoying full-time continuous AF which literally tries to refocus constantly. Once you tap on the A5100’s screen though, the camera refocuses and pauses, awaiting further instruction. This makes the AF system more usable than the A6000 above it in the range. To test the low light capabilities of the A5100, I filmed a series of tripod-mounted clips between 3200 ISO and the maximum movie sensitivity of 12800 ISO. I set the A5100 to its movie mode, chose 1080 / 50p for the quality and selected manual exposure. Here the aperture was set to f8, the sensitivity to 3200 ISO, and the shutter speed adjusted for a 0EV exposure as metered by the camera. I also set the focusing to manual. Also see my A5100 at 6400 ISO and A5100 at 12800 ISO samples. The A5100 inherits the advanced movie AF options of the A6000, allowing you to tune the response time and refocusing speed. There’s six possible combinations and to illustrate their impact I filmed each with two different movements: a pan between distant and close subjects and a continuous dolly move. I filmed the 12 clips with the A6000 which shares exactly the same capabilities as the A5100 in this regard. The A5100 and A6000, uniquely for cameras in their class, let you fine-tune the video AF, both the speed of the focusing and the initial response time. There’s three AF speed settings and two AF response settings, making for a total of six possible combinations. For the clip above where I panned from a close to a distant subject, I felt the best results were with the focus speed set to slow and the response time to normal, to avoid it making any adjustments too soon. The A5100 and A6000 uniquely for camera’s in their class, let you fine-tune the video AF, both the speed of the focusing and the initial response time. There’s three AF speed settings and two AF response settings, making for a total of six possible combinations. For the clip above where I steadily moved the camera towards then away from the subject, I felt the best results were with the focus speed and the response time both set to fast, to minimise hunting or delay. The Sony Alpha A5100 has built-in Wifi with NFC to aid negotiation with compatible devices. Wifi on the A5100 allows you to wirelessly browse and transfer JPEG images onto an iOS or Android smartphone using a free app, and also remote control the camera with your phone or tablet. The A5100 can additionally download apps directly to extend its capabilities, a feature first introduced on the NEX-6, and a feature that remains unique to Sony (if we’re not counting Android-powered cameras from the likes of Samsung or Panasonic). I’ll start with transferring images from the A5100 to a smartphone and for my tests I used my Samsung Galaxy S4, onto which I’d previously installed Sony’s free PlayMemories app. If you have an NFC-equipped device, such as my GS4, the entire process is incredibly simple: just choose the image you want to send in playback on the camera, then hold it against your phone. 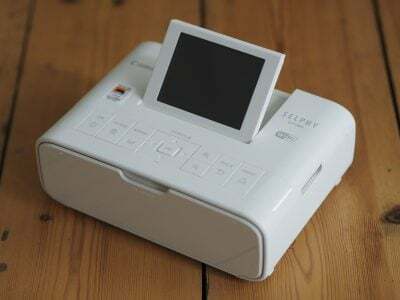 The NFC then instructs the camera and phone to connect (automatically taking care of network names and passwords), before then transferring the image and finally disconnecting. It all happens without a single button press and is the best implementation I’ve seen for copying images from camera to phone. If you don’t have NFC, or for some reason it doesn’t work, you’ll need to connect to the A5100’s Wifi network manually. First go to the Wireless section and choose the option to Send to Smartphone. This then gives you the choice of either selecting the desired image on the camera, or browsing the camera’s memory using your handset. Selecting either configures the A5100 as a Wifi access point which your phone needs to connect to. Next you’ll need to fire-up the PlayMemories app on your phone and connect to the camera. If you opt to select the image on the camera, it’ll then be sent straight to the phone. If you select the option to choose with your smartphone, you’ll see the camera’s memory presented in a thumbnail view – just select the desired image and again it’ll be copied over. A menu in the PlayMemories app lets you choose whether the image is sent in its original 24 Megapixel format or resized down to VGA or 2 Megapixels. Full sized 24 Megapixel JPEGs take about five to ten seconds to copy over; like most Wifi camera apps, you can’t transfer RAW files. The second option in the Wifi menu lets you send images to a computer. To do this you’ll need to download the free Wireless Auto Import utility onto your Mac or PC, then briefly connect the camera so that it can be configured with your computer’s details. After this you can disconnect the cable and wirelessly send selected images from the camera to the computer, although both will need to be connected to the same wireless access point. Sadly there’s no direct peer-to-peer option, and while both devices could be connected to the same Wifi hotspot on a phone, you can’t use it as a bridge or router. This limits the wireless transfer to situations where you’re connected to a home or office network, although to be fair this is no different from most other manufacturer’s camera to computer Wifi services. It would seem unless you go down the Eye-Fi route, the only peer-to-peer connection is between camera and phone or tablet. Next I’ll cover remote control which requires the Smart Remote app to be installed on the camera – as luck would have it, Sony embeds this into the A5100 to get you started in the World of apps, no doubt in an attempt to get you comfortable with the idea and possibly purchase some more in the future. Once again, Sony makes things really easy for owners of NFC phones. With the camera powered-up and ready to shoot, simply hold your phone against the NFC logo on the side of the body and the A5100 will automatically fire-up the Smart Remote app, connect itself to your phone (again taking care of Wifi network names and passwords), then start the PlayMemories app. So without a single button press, you’ll find your self ready to remote-control the camera with your phone. Brilliant! If you don’t have a phone with NFC, you’ll need to first select the Smart Remote from the App menu on the A5100. This sets the camera up as an access point for the PlayMemories app on your phone to connect to. Once you’re remote-controlling the camera with your phone, you’ll be able to operate the optical zoom, adjust the exposure compensation, and take a photo or start recording a movie. What you won’t be able to do though is adjust the exposure, or tap the phone’s screen to reposition the AF area. At first I assumed this was because the Smart Remote app shipped with the A5100 was an older version which didn’t support remote exposure control. This was how the earlier A6000 was shipped, and an updated version of the app added ful exposure control. Checking Sony’s support pages revealed there was a firmware update available for the A5100, but I couldn’t get it to install on my sample. I also noticed an update to the Smart Remote app was available, although it only mentioned supporting some super-zooms as the new features. This is frustrating because until I manage to update the camera’s firmware successfully, I can’t say whether the Smart Remote features are truly restricted to the basic operation described above, or whether there’s actually now support for full exposure control. I’ll keep trying and update this article if I have any new information. That said, the A5100’s target audience will probably be happy with the basic functionality as it stands which lets them view the composition remotely and capture the moment using their phone’s screen. I’d like to talk a bit more about the ability to download apps to update or extend the camera’s capabilities, as it remains unique in the camera world. Roughly two years on from the NEX-6 where the concept was launched, Sony now offers 20 apps (plus four additional keyboard options) which are compatible with the A5100, some free of charge, some costing up to $9.99 / 7.99 GBP. There’s also a selection of apps in Beta which are free to download. I believe the API for creating your own apps is now open, but I don’t know of any third party apps, such as support for Twitter or Instagram. The first step to downloading a new app starts by creating an account on the PlayMemories site at playmemoriescameraapps.com. You have to do this using a computer or smartphone, and it also gives you the chance to buy credit to purchase apps later, although you don’t need to if you’re only downloading free apps. Once you have an account set up there are two ways to browse and download apps. You either can do it using a free download tool running on your computer with the camera connected over USB, or you can do it direct from the camera itself. If you’re going for the direct approach from the camera, you’ll first need to connect it to the internet via an access point. Manually entering SSIDs and passwords using earlier non-touchscreen models could be laborious to say the least, so I looked forward to tapping them out on the A5100’s screen – but bizarrely this was not possible. So like previous models, you’ll need to navigate an on-screen keyboard like an old arcade game as you gradually enter the desired characters. Once entered though, the camera can remember them and connect with a click at a later date; I store my phone’s Wifi hotspot and home networks for instance. Impressively Sony also remains the only camera company to let you connect to public hotspots which require a web-based logon or a tick in a box to agree to terms – it does this using a mini browser on the camera’s screen which works surprisingly well and allowed me to connect to several public services. Once the camera is connected to the internet you can use the dedicated Apps menu to login to your PlayMemories account and browse and download available apps; again any which aren’t free require you to have previously credited your account using your computer or phone. Once an app is downloaded and installed, it’s added to the list in the Apps menu on the camera. Some apps require access to the internet, say to upload images, and again the camera will connect via any previously configured access points. Others extend the functionality of the camera and have their own menus. You already know about the pre-installed Smart Remote app. The next app most people will install is the free Direct Upload app, which lets you upload images direct from the camera to various online services. At the time of writing it only supported three services: Sony’s own PlayMemories site (of course), along with Facebook and Flickr, the latter added by installing an additional free app. When uploading to any of the services it’s possible to add a caption, although again it’s a laborious process using the cross keys to enter text on the on-screen keyboard – this could have been so much easier with the A5100’s touch screen, but again Sony doesn’t enable it for text entry for some reason. It all works in the end though and also appears to go direct to the service as oppose to most other manufacturers who share images via their own services. I just wish there were more services available, such as Twitter and Instagram, not to mention a quicker way to enter captions. As it stands, it’s easier and much more flexible to just wirelessly copy an image to your phone, tap out a caption and share it to any service you like. Of the apps you have to pay for, there’s a few which you’d hope the camera would include as standard. For example Timelapse ($9.99) and Multiple Exposure ($4.99) are features built-into many cameras, but which will cost you just under $15 to add to the A6000. Interestingly Multi-frame Noise reduction, removed from earlier Sony cameras to become an app, but reinstated in the A6000, has now become an app again for the A5100. If you want it, you’ll need to download it. So while I like the idea of expanding the capabilities of a camera using downloadable apps, I feel the concept is far from fulfilled on the A5100 and other Sony cameras. Smart Remote should really offer manual control for all Sony cameras, Bracket Pro ought to offer deeper AEB, Direct Upload should really include at least Twitter and Instagram, and things like Timelapse and Multiple Exposure should arguably already be included. There should also be an official means to tag images with a GPS log made by your phone, a feature still absent here but present on almost every other camera with Wifi these days. Just before wrapping-up I should mention it’s also possible to remote-control the camera with a free utility for a Mac or PC which offers much more options than the smartphone version. Although sadly this is only supported with a direct USB connection between camera and computer, not over Wifi. Actually, I have one more final word. I may have had some frustrations with Sony’s Wifi implementation, but if you have a phone with NFC, it’s still the best for transferring images or initiating remote control. A simple tap and nothing more will get the job done, and again Sony’s unique support for downloading apps into the camera means it’s possible to upgrade its capbilities. The Sony Alpha A5100 offers two Continuous shooting modes, Mid and Hi, the latter boasting a top speed of 6fps, a decent boost over the 3.5fps of its predecessor. Sony doesn’t quote buffer sizes, so to put the A5100 to the test I fitted it with a Sony UHS-1 32GB SD card rated at 94MB/s, set the Shutter to 1/500 in Shutter Priority and the sensitivity to 400 ISO, before timing a series of bursts. With the A5100 set to Fine JPEG, I fired-off 60 frames in 9.79 seconds, corresponding to a speed of 6.13fps – a fraction above the quoted 6fps speed and for a decent burst size too. After 60 frames the camera kept shooting, but at a slower rate of around 2fps. With the A5100 set to RAW, I fired-off 22 frames in 3.54 seconds, corresponding to a speed of 6.21fps. Once again after the buffer was filled, the camera kept shooting, but slowed down to about 2fps. Both my tests above were with the camera set to single AF, so I decided to retest with continuous AF and a moving subject. This time I grabbed 60 Large Fine JPEGs in 9.95 seconds, corresponding to a speed of 6.03fps, a fraction below my earlier test but still maintaining the quoted speed. To put this into perspective, the A5100 will out-gun anything in its price bracket. Its predecessor managed a top speed of 3.5fps, while Canon and Nikon’s entry-level DSLRs offer 3fps and 5fps respectively. But it’s not just about having fast burst shooting as the A5100 makes it useful by offering it in conjunction with effective continuous autofocus, allowing you to track and capture action. As noted above, I’ve tried this with both the 16-50mm kit zoom and the new FE 70-200mm f4G OSS telephoto zoom, both with a very high degree of success. The only camera which can out-perform it without spending a fortune on (and lugging around) a semi-pro DSLR is Sony’s own Alpha A6000 which manages to shoot at 11fps in practice. If you’re really into action photography and can afford to pay the extra for the A6000, I’d recommend it as not only do you get almost twice the burst speed, but also the chance to compose with the built-in viewfinder which is easier for following action. But that should not take anything away from the A5100 which delivers superb performance and becomes a very practical camera for shooting active friends and families; indeed it’s the best option at this price. The Sony Alpha A5100 is equipped with the same 24 Megapixel APS-C sized sensor as the A6000, giving it four more than its predecessor and matching or exceeding anything in its class. Like other 24 Megapixel APS-C models, the A5100 delivers 3:2 shaped images measuring 6000×4000 pixels, which at 300dpi can be printed at 20×13.3in. Compare that with 16 Megapixel image cameras which can make prints measuring 16.4×10.9in at 300dpi. It is however important to note if you want to enjoy the benefit of 24 Megapixels over lower resolution models, you’ll really need to fit the A5100 with a better lens – in my tests the kit zoom reduces the effective detail to models nearer 16 Megapixels. IFor me though, the really important part about the A5100’s sensor isn’t the resolution, but the embedded AF system which spreads 179 AF points across 92% of the frame, almost to the edges. As I described earlier, these equip the A5100 with excellent continuous AF tracking capabilities for stills and videos, wherever the subject is on the frame, and Sony’s further enhanced the system by letting you fine-tine the AF speed and response time for movies. So even if you’re not getting the full benefit of the 24 Megapixel resolution with the kit lens, you will at least enjoy the great continuous autofocusing performance. The A5100 sensitivity runs from 100 to 25600 ISO, or up to 51200 ISO if you’ve installed the optional Multi-Frame Noise Reduction app; note this is built-into the A6000 as standard. Sharpness, contrast and saturation are applied using a selection of Creative Styles, all of which can be adjusted as desired. I used the default Standard Creative Style for all my sample images which delivered the usual punchy style of a Sony consumer camera, although again you can tone it down or bump it up if preferred. So how does the A5100’s 24 Megapixel sensor perform in practice, especially compared to high-end compacts like the RX100 III? Find out in my Sony A5100 quality and Sony A5100 noise results, or check out my Sony A5100 sample images, or skip to the chase and head to my verdict.